Another splendid feature that we find very interesting is Skydrive, Microsoft's own version of Dropbox which is expected to rise above its underdog status this year. Microsoft plans to offer a Skydrive cloud space automatically to any application that is capable of running documents, images and photos. 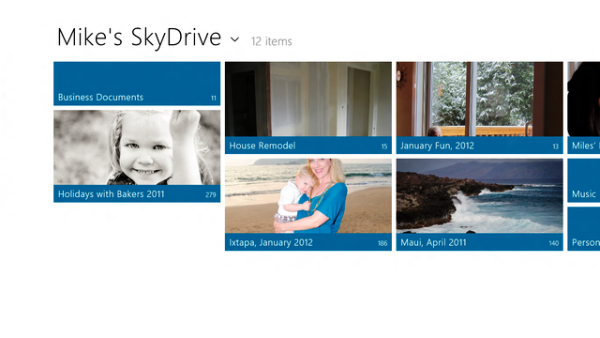 The Skydrive cloud space will also be made available as a Sharing contract for its users via the new Charms bar. Pretty cool huh? But perhaps the biggest and the most exciting thing about Skydrive in Windows 8 is its capability to individually synchronize files straight from your desktop. Yes, you heard that right. 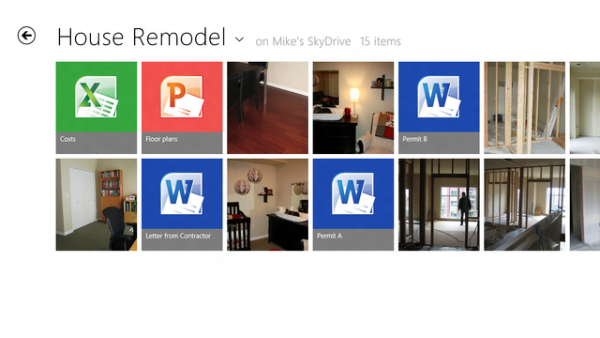 If you love Dropbox, then you'll love Skydrive even more. Expected to replace Live Mesh, Skydrive for the desktop will give users the power to sync individual files up to 2GB in size. That's a pretty humongous file size to deal with. But yes, contrary to previous reports, Microsoft is now making it possible for you to upload those large HD videos of yours in a single click. Users are also given a default storage capacity of 25 GB with the option to upgrade via a subscription plan. Now Windows 8 desktops will have a sync icon in every file or folder and you can sync your files to the cloud in a snap. If you think that sharing Skydrive files directly to a Twitter account is impossible, think again because that is now possible too. 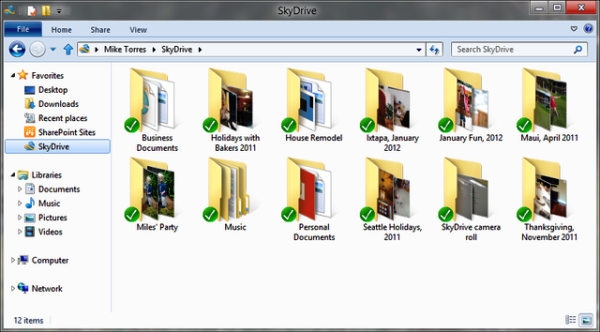 Skydrive app for both Windows and Mac will remotely access your files on your desktop through the cloud service. Other updates that we uncovered are support for URL shortening, storable BitLocker recovery keys and extra support for OpenDocument files. The aforementioned Skydrive apps will be available at the end of the month once the Consumer Preview will be officially released. So 25GB of free online Storage uh... This can't be used for filesharing though, now can it?